When I was a little fellow, my father was a carpenter. To apply his craft, he wore a tool belt that contained an assortment of tools for hammering, cutting, fastening, and so forth. The right tools made his job easier and faster, and he kept them in good repair to get the maximum benefit. By making hard tasks easy, he could be more productive and earn more money for our family. As a little boy, he would occasionally let me wear his tool belt. Throughout my life—including in business—I have always appreciated having the right tools to get work done as efficiently and effectively as possible. Wikipedia describes a tool as “any physical item that can be used to achieve a goal. . . . 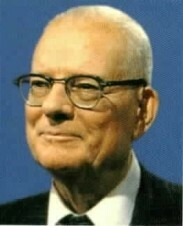 Informally, the word is also used to describe a procedure or process with a specific purpose” (http://en.wikipedia.org/wiki/Tool). 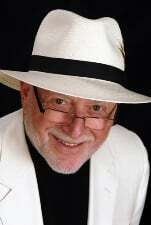 “For years there was a running debate concerning whether humans are the only animals that use tools. When scientists watched chimpanzees sit next to an anthill and place a stick in the entrance hole as a way to gathering ants—without having to dig—they decided that these creatures, with whom we share almost 95 percent of our DNA, were also using tools. So we now have our answer. 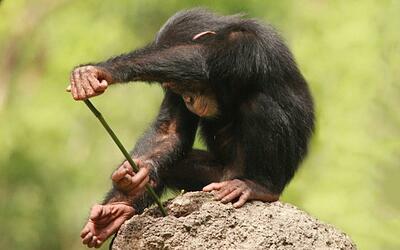 Smart creatures, including Homo sapiens, use tools. Why? Because smart creatures do their best to find a way to make hard things easier” (Influencer, Joseph Grenny, 275; italics added). We all know that much of the work people do is boring, tedious, stressful, unpleasant, and for some even dangerous. However, like the chimpanzee, we can make tasks easier, faster, and more enjoyable for workers by providing them the right tools. Have you ever tried to do something difficult without a tool, like removing a staple without a staple remover? Or performing a task with the wrong tool, like trying to dig a hole with a square-point shovel? Or how about using a tool that hasn’t been maintained, such as cutting with a dull blade? Wouldn’t you agree that not having good tools can be very unproductive and frustrating? We often hire professionals to work on our home or vehicle because they have the right tools, even specialized tools. In your target market, YOU are the professional. Your job Mr. or Ms. Business Owner is to provide the most effective tools (systems and processes) for employees to get work done better, faster, and cheaper than your competition. Business systems—lead generation, hiring, order fulfillment, customer service, and many others unique to your company—are the customized tools you create to get things done in an easier and more excellent way. Consider some of the advantages of having the right system tools. Business systems incorporate the skills, behaviors, or tasks that you need done the right way every time (less oversight and supervision required). 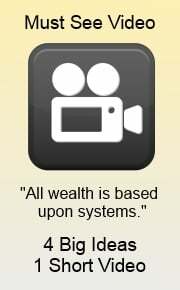 Good Systems ensure that quality is achieved in products and services (happier customers). Effective systems increase efficiency and productivity, and lower costs (more profit). Exceptional business systems and processes make you a remarkable company (a standout, and the obvious choice of your target market). Well-designed systems make work easier and more pleasant (higher employee morale, better performance, and less turnover). Effective business systems and processes allow for measurement and frequent feedback to workers (the key to continuous improvement). Sales-generating, customer-pleasing, waste-removing, profit-boosting business systems and processes are your tools to create an outstanding company. There is no other way! And one final thought, the component parts used in your business systems are also tools: the checklist, the brochure, the contract, the order form, and so forth. Each of these tools has an important purpose, and the “sharper” the tools, the better your result. 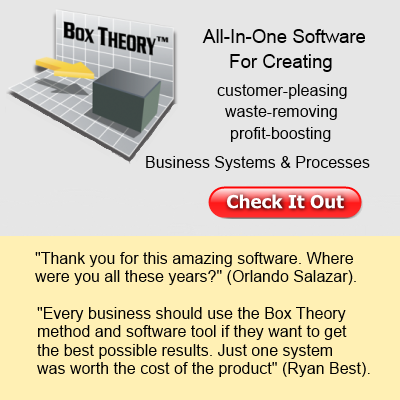 In my humble opinion, Box Theory™ Software is the best tool devised for owners and managers of small to mid-sized businesses. With this amazing desktop tool, you can plan, create, document, manage, store, and print everything pertaining to your company’s systems and processes—sort of like a QuickBooks accounting tool, but for business systems. Last weekend, I purchased a tool chest at COSTCO to store the many hard-to-find tools scattered around my house. What a difference this handy organizer makes; I should have bought it years ago. I think you will have the same feelings about Box Theory™ Software. You’ll wonder how you ever got along without it.